What better treat for skin and what better indulgence for the winter? The following are a few of my favorites. Prickly Pear Seed Oil, Argan Oil, & Moroccan Rose Oil. This Moroccon sourced blend might have 3 ingredients, but they each deliver confident results and a subtle, refined fragrance. Prickly Pear and Argan are both very faint oils, Argan can smell a little nutty but it does not have a dominant profile, Prickly Pear only has a slightly richer scent almost like an eraser, which allows the Moroccon Rose to shine. A pure and fragrant essential oil that defines the scent profile of this trio. The scent is luxurious, calming, and sophisticated, lingering for just the right amount of time before dispersing. There are products for people who like rose, and then there are products for the rose obsessed- this will delight the latter for sure. I described the scent in my previous review as “a hundred roses and their leaves and branches, other times its cloying overpowering nature just knocks me out“. Which should either excite you or illicit fear depending on how you feel about using fragrant products on your face. This isn’t for the conservative or shy, but rather for those looking for a bold and glorious rose statement. A hint: if all your candles are rose and your perfumes are rose, you will probably want to add this to your collection. 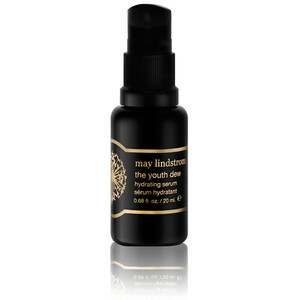 May Lindstrom’s The Youth Dew has a less straight forward but still powerful rose scent with dominant notes from the Rose Absolute, Rose Geranium, and Bulgarian Rose essential oils. Unlike the aforementioned serums, this beautiful scent is more complex and evolving. I would describe the fragrance almost like a mix between rose and fruit roll-up (I mean that in the best way). Not that fruit roll-ups are known for their fragrance but there is a distinct sweet fruity scent (anyone else want to back me up on this?) about this oil that brings me back to the joys of unwrapping the candied treats in elementary school. What is really interesting about the scent is that each time I think I can pinpoint it, I discover something new and it is never like how I remembered it. This is what I find so fascinating and addictive. YULI’s Modern Alchemist captures an evocative and intricate blend with a distinct top note of Bulgarian Rose. Its expansive, aqueous Rose floral note gives a faint glimpse of nectar-like sweetness, which is then undercut by hints of fresh, light green notes including Green Tea to form a delicate, balancing act that is both luxurious and decadent without being cloying or overbearing. A testament to their fresh sourcing and production philosophy, somehow utilizing just one rose ingredient, the ode to rose is astounding in detail, encapsulating the entirety of the fresh rose: petals, nectar, stem, and all. This captivating fragrance profile is much like the brand: unique and subtle but endlessly intriguing and demanding of attention. 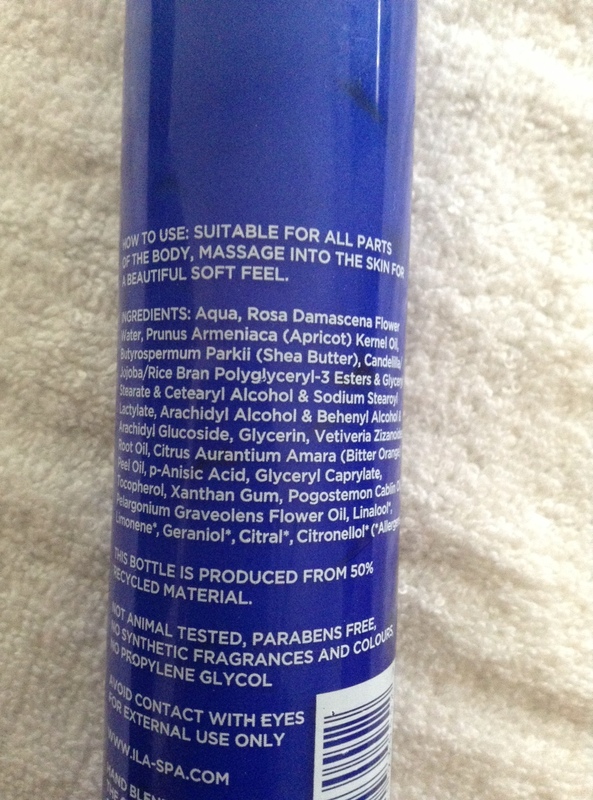 The best part of this list is that all the products use a natural rose essence which is very expensive and rare. This stuff is leagues better than the synthetics in many perfumes as it contains the full bodied aromatic profile of the rose and nutritional benefits. Have you tried any of the aforementioned serums? What are your favorite scents? 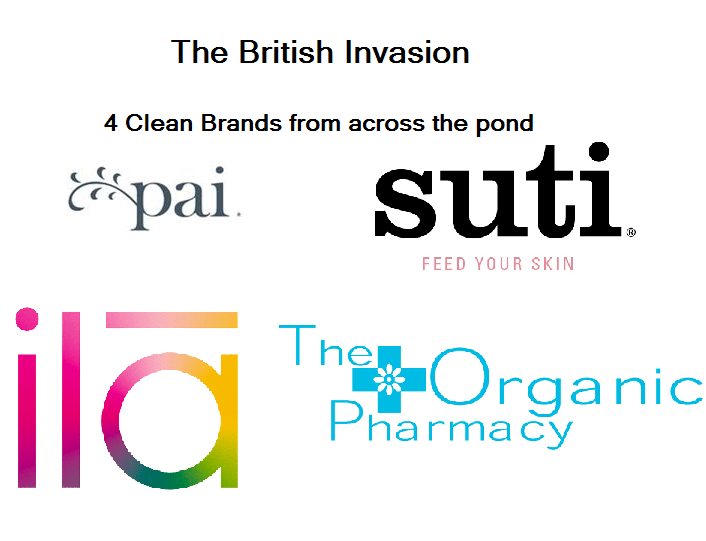 I’ve mentioned Ila before as one of the top British green beauty brands with gorgeous spa grade products, clean formulas, and lovely packaging. Although my first foray into the brand with their body lotion had hits and misses, I’m still very interested in the brand as a whole so I requested a sample of their Face Oil from Spirit Beauty Lounge. 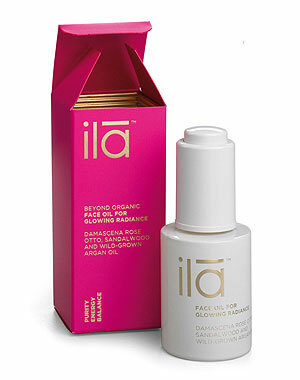 Ila’s Face Oil for Glowing Radiance is what I consider their masterpiece product because Spirit Demerson refers to it as the “QUEEN” of all face oils that delivers radiance and vibrancy like nothing else. A lofty title, so naturally, my interest was piqued. While it isn’t revolutionary for argan oil to be used as the base, I do appreciate the simplicity of the formula. Argan is so widely used because it is a wonderful and versatile ingredient that all skin types will love. 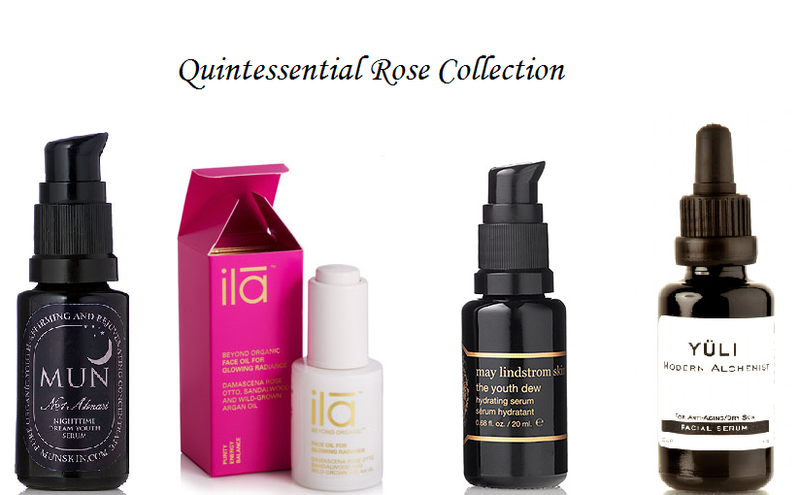 The product description summarizes the ingredients as such: The essential oil of damascena rose otto deeply regenerates and nourishes the skin’s cells and imparts glowing radiance while argan oil and rosehip seed oil are high in anti-oxidants and fatty acids to fight wrinkles and help skin cells to regenerate. The scent of the product is an overt obsession to the fragrant Rose oil. People will either love this scent or find it overwhelming. I know that my girl Lola from No More Dirty Looks cannot stand it. I can understand both sides, sometimes I find myself enjoying the very natural complex scent almost as if I can smell a hundred roses and their leaves and branches, other times its cloying overpowering nature just knocks me out. I hesitate to use this during the day just because I find the fragrance to be too much where I can catch a strong whiff with every inhalation, but at night it is just fine as a luxury oil before bed. I really enjoy the rose scent but I feel like they took this idea of a fragrant rose and dialed it up too many notches for the normal buyer. The oil is a darker yellow almost orange color and the texture of this oil is difficult to gauge. I think the cloying nature of the oil makes it ‘feel’ thicker than it probably is as you’ll constantly feel as though the oil is sitting on top of your skin since the scent takes a long time to dissipate. With that said, this sample doesn’t come with a dropper to properly control the amount dispensed but I did my best to keep it to what would amount to 3 drops. I had tiny little breakouts along my hairline and a cystic breakout near my chin after about 3 days of use (day and night). My skin also seemed oilier during the day but at night it was just fine since I suppose most of the excess oil is wiped on my pillowcase. I didn’t have any issues with dehydration but it seems that this oil isn’t a good fit for my skin. I did notice that my skin in the mornings appeared smooth and without any redness but during the day it led to an oilier complexion which probably contributed to my breakouts. Overall I’d say looking back on my experience, this is a wonderful facial oil if you have normal-dry skin not prone to breakouts and you love roses (as in can’t get enough!) – if that is you, well, I think I’ve helped you find your forever oil. For me, this oil actually works for my skin when used as a nighttime moisturizer because it helped take care of the scent and oil production, leaving my skin very calm and happy in the morning, but it was not suitable for day time use for me. At $110 for 1oz, this is quite costly for a simple oil that I can only use at night, so I don’t think I will be buying the full size. But for those of you who do decide to spring for a full size, I have to say that the pump-button style dropper is sooo cool so please invite me over so I can play with it! 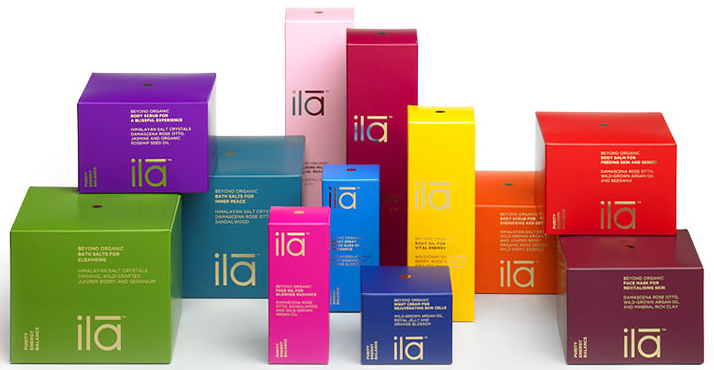 As I’ve mentioned in a past write up, Ila is a premium UK brand that produces spa-grade concoctions. I’m currently playing with their Radiance Face Oil, one of Spirit Demerson’s favorite face oils. I really enjoy Ila’s minimal packaging and simple formulations that focus on creating a sensory experience. The Ila line has many body oriented products so I thought I’d start with their Body Lotion. Although my face is combination with a tendency to be oily and blemish prone, my body leans toward the dry side. If I do not apply some type of moisturizer like a body oil or lotion after showering 2-3 days in a row, I’ll get dry skin around my elbows and legs. The Body Lotion comes in various sizes, but you only get the pump if you order the large size (300 ml). I ordered 150 ml because I was going into it without any samples so I wanted to be sure it was as great as I hoped. Without the pump, it is difficult to get the rather clumpy cream out so I usually stand it upside down. The cream is clumpier than the Weleda Body Lotion that I reviewed, but it isn’t bad. I think this texture is actually an indication of the purity as there aren’t a lot of chemicals to adjust the consistency and texture into a streamlined cream, so I’ve come to appreciate this. After all, it’s not like the cream texture is ‘bad’, and it applies just as easily. To be clear, I really think this consistency is an indication of quality and a standard of purity, so it’s actually a good thing that in no way hinders application of the product, it is just one of those things that people who are accustomed to more filtered products will need to realize. Nourishment comes from the Rose Flower Water, Apricot Kernal Oil, and Shea butter. Rose Flower Water is a powerful toning ingredient that is wonderful for all skin types. Apricot Kernal Oil is high in emollient fatty acids and Vitamin E, which smooths and hydrates skin. Shea butter is one of my favorite natural ingredients in moisturizers, and if done well, like in this concoction, can be light and airy. I feel that of all my body lotions, this provided that perfect balance which always nourished my skin but never left it feeling greasy or layered over. My skin always seems to hold up better to dryness after applying this and when I apply this at night I can tell the difference the next morning. In fact 3 applications a week after showering kept all dry, flaky skin at bay and made my skin look and feel very comfortable and healthy. In terms of performance, this hands down is my favorite body lotion. The biggest gripe I have with it, and this might be a deal breaker for repurchase: is the scent. I normally don’t place emphasis on the scent, but seeing as to how the essential oils used for the scent don’t play a big part in the consistency or moisturizing effectiveness, I do feel like it should be pleasant, especially from a line known for producing beautiful spa grade products. The scent is best described as strong and overpowering, very herbal but not in a fresh way – it’s almost a spicy medicinal scent. The worst part is that after it wears for a while, the scent gets on clothing or if you’re in bed, it’s all over your sheets. My boyfriend said it reminded him of a hospital room where they disinfect you and set you up on IV drips and I have to agree, it’s just very ‘off’. I don’t think I want to keep using this product for this reason alone. If the scent could be changed into something softer and more pleasing, I’d definitely recommend this as a buy because as an actual skin hydrating product, it is superb. What it is: A line started by Sarah Brown for those who have sensitive skin using the cleanest plant-based skincare. My Impression: This is the line I’d point you to if you love Ren (a fellow British born line, see the trend here?) but wanted something even cleaner. Their aesthetic is similar down to the pastel labeling for the products. While they have a full line that is continually expanding, they’re most known for their oils and creams with audiences here. 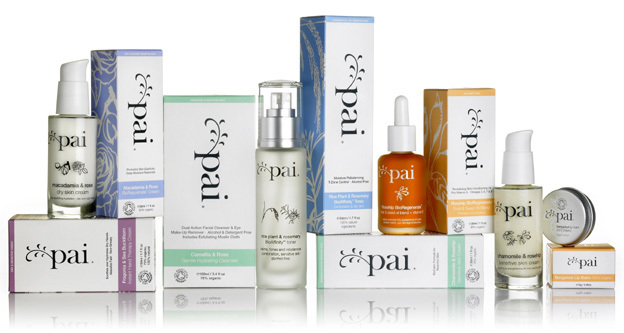 Products to try: Pai’s Bioregenerate face oil is a pure rosehip complex that regards itself as an all-natural retinol treatment. The Chamomile & Rosehip Organic Sensitive skin cream is a good product to try for those with ultra-sensitive skin, it is a light cream that I consider one of the best made comparable to Tata Harper’s Rebuilding Moisturizer. Price: Similar to Ren, might be slightly more expensive on a product by product basis, but the cleaner ingredients and higher quality formulation justifies that. What it is: A line created by Suzannah Jenkins & Tina Steadman, who are collectively homeopaths, aromatherapists, and medicine practitioners. The concept was to develop a line that was pure enough to eat. 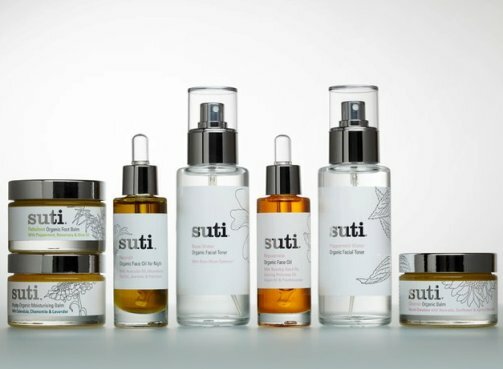 My Impression: Suti’s products focus as much on the senses as it does on the skin benefits so even products like facial oils are aromatically scented to provide the emotional response the founders intended. This artisanal quality reminds me a little of our very own May Lindstrom. Similar to May Lindstrom, this line is very edited: three balms (one is a cleanser, one is a moisturizer, and the last one is for feet), two toners, two facial oils. Products to try: The facial cleansing balm is a wonderfully scented cleanser + moisturizer that cleans off makeup and leaves skin soft. A wonderful alternative for those looking for a natural version of Eve Lom’s (another British brand) Cleansing balm. 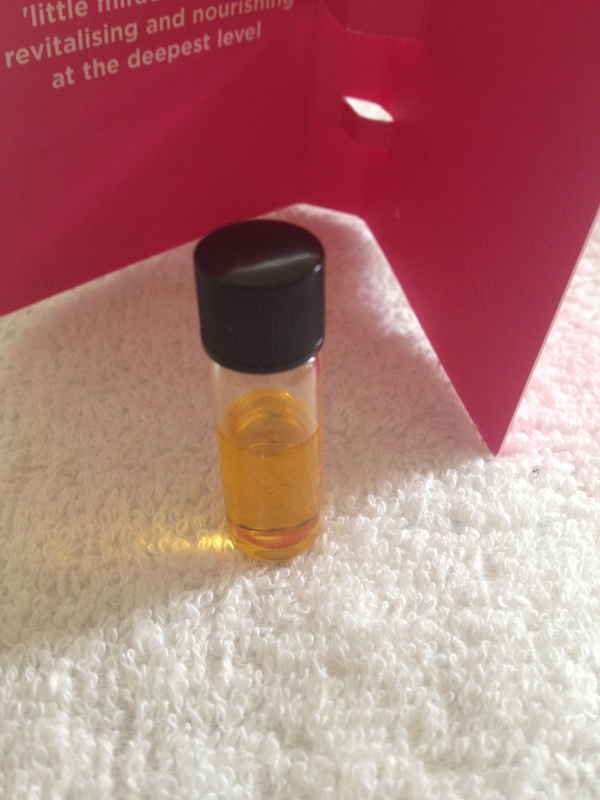 The Rejuvenating Facial Oil smells glorious with citrus notes in a rich golden hue, kept in a gorgeous bottle. However, it did break me out after 3 days of continuous use, the base oils were too heavy for me and while the scents were lovely, the over reliance on citrus oils made me hesitant to use this during the day for photosensitivity. Price: Very reasonable. DIYers will probably not buy this, but those who love high end clean beauty will not break the bank trying their stuff. What it is: A spa grade line that uses only plant or mineral ingredients. Their focus is on creating an ‘experience’ to restore, nurture, and balance. 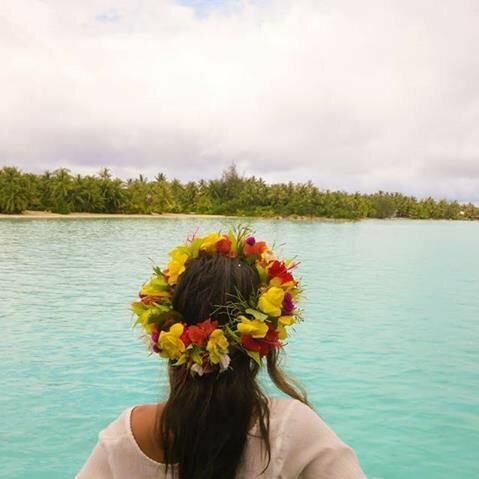 My Impression: Probably the most premium brand on this list, Ila’s focus is on the spa experience so its advertising and message is a little less commercial than the other brands. Unlike other skincare lines, the majority of Ila’s products are geared toward body care, with lots of products for baths, body washes, body lotions, body oils, etc. The facial products they do have are still a complete line. Branding wise, I love the feminine, minimalist aesthetic and everything is in a neat dual-color plastic cylinder which looks so chic when you have a row of their products together. Products to try: Spirit Demerson raves about their Glowing Radiance treatment oil but it is too heavy for me (though I acknowledge that it is lovely). My favorite product from them is the Body Balm for Glowing Skin which smells of Rose and Tuberose, and is perfect for the driest winter months. Although scent plays a strong part in the products formation, I have to say that they all smelled so strong that you absolutely have to make sure you enjoy the scent before buying because some are just HORRIBLE. Price: This is the confusing part, their products are either incredibly high or surprising cheap, there doesn’t seem to be a middle ground. For instance, at $109, their facial oil will set you back a bit, and their daytime and nighttime lotions each cost over $100 as well. But the body wash and body lotion comes in at $12.80. It almost feels like two lines with different intended audiences merged into one. 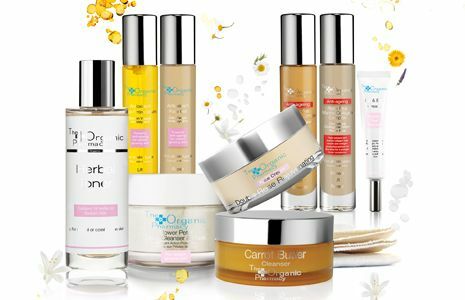 What it is: started by a homeopathic pharmacist and her husband, the line has now spawned a seriously massive collection featuring several lines: skincare, body, bath, hair, sun care, baby, health, supplements, men, makeup, candles, etc. This isn’t just a skincare brand, it truly is its own empire. My Impressions: The Organic Pharmacy is most similar to our Origins stores. They’re massive in their own right and feature a plethora of various products. The difference is that they’re cleaner formulated and the ingredient quality is top notch. There are so many products that it might be intimidating to figure out what to get, so it’s a good thing they have experts to help you decide. Products to try: The Rose & Bilberry Toning Gel reminds me of the Dr.Alkaitis Soothing Gel but is more about healing whereas the soothing gel is more about anti-bacterial action. The Blemish gel isn’t powerful or strong but it is good at alleviating breakouts through gentle repair without the use of anything too harmful which is something most American brands haven’t been hip to yet. Price: This line isn’t as expensive as some others on this list but for what it is- a larger scale company, the prices are a little more expensive than I am used to. I’m fine paying the prices for the products I picked because the formulation is good but don’t expect $20-$30 products as you might at Origins. The Rose & Bilberry toning Gel set me back almost $100 after shipping while the Dr.Alkaitis Gel is only $60 for more product. So you really have to do your homework to figure out if what they have is worth the price compared to other higher end brands.